The space-saving light fitting for worksurfaces. Ideal for fitting beneath wall cabinets and shelving units. Available individually or in a set; the distance between bulbs can be freely adjusted. 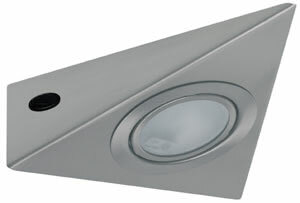 Also available as an “Allround Touch”, allowing the light to be switched on or off at a touch of the hand.